Finding time for schooling is a big concern for many people looking to pursue a new career. However, that isn't an issue for those looking to enter the healthcare industry as a Medical Assistant. Classes to become an MA take less than a year to complete. Evening and weekend class options are also typically available. Medical assisting is a great career choice if you want to work in healthcare but do not want to spend several years in school. In addition, medical assistants aren't limited to where they work. According to the Bureau of Labor Statistics, only 15 percent of medical assistants work in hospitals. A large majority of medical assistants work in physician's offices. This includes all specialties. Medical assistants are also employed by health clinics, nursing homes, and assisted living facilities. Good, quality medical assistants are in demand. The US Bureau of Labor Statistics projects medical assistant job openings will grow by 2024. Nearly 140,000 new medical assistants will be needed by then to fill the new job openings expected. Medical assistants are able to make the most of their compassion toward those in need. Medical assistants usually work in physicians' offices and often support patients when they need it most. Sometimes patients who are sick, scared, and in pain are helped the most when someone assures them everything will be okay. Medical assisting may be the right career for you if you like variety. MAs are needed in a wide variety of settings with a whole array of responsibilities. Each day will differ. Job duties can range from administrative to clinical in a variety of locations, including doctors offices, clinics, rehabilitation centers, outpatient surgical centers, nursing homes, and hospitals. A career is medical assisting makes it easy to balance work and family life. Many medical assistants work a 9-to-5 shift similar office workers. This means you get to spend evenings, weekends, and holidays with your family. Of course, other shifts are available for MAs, especially if you choose to work at a hospital or rehabilitation facility. 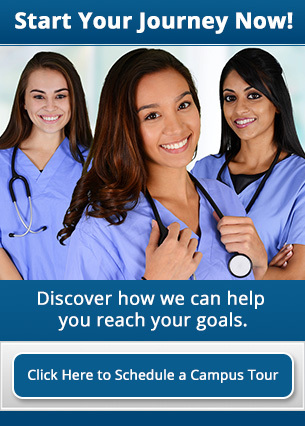 According to Salary.com, the average Medical Assistant salary is $33,697 as of January 31, 2019. And pay isn't the only appealing compensation. A recent survey of the American Association of Medical Assistants revealed that 75% receive major medical insurance through their employers. 78% of medical assistant professionals have dental coverage. Another 69% receive vision benefits. There are no formal requirements to work as a medical assistant, but most employers will only hire medical assistants who have competed a certification program. Athena Career Academy offers training as a Medical Assistant. The MA program is taught over a period of approximately 7 1/2 months plus an additional 6 week externship. Don't delay your start toward an exciting career as a certified medical assistant. Contact Athena Career Academy today.